This book is a Developer’s Guide, covering the ins and outs of developing Java EE 5 applications deployed to the standards-compliant, high performance GlassFish application server. GlassFish is a free, open-source Java EE 5-compliant application server that is quickly gaining massive popularity. 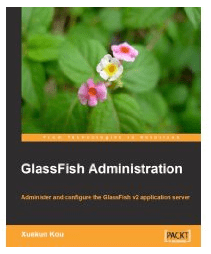 This book explains GlassFish installation and configuration, and then moves on to Java EE 5 application development, covering all major Java EE 5 APIs. The book aims to speed up the reader in Java EE 5 development. All major Java EE 5 APIs and the details of the GlassFish server are covered followed by examples of its use.